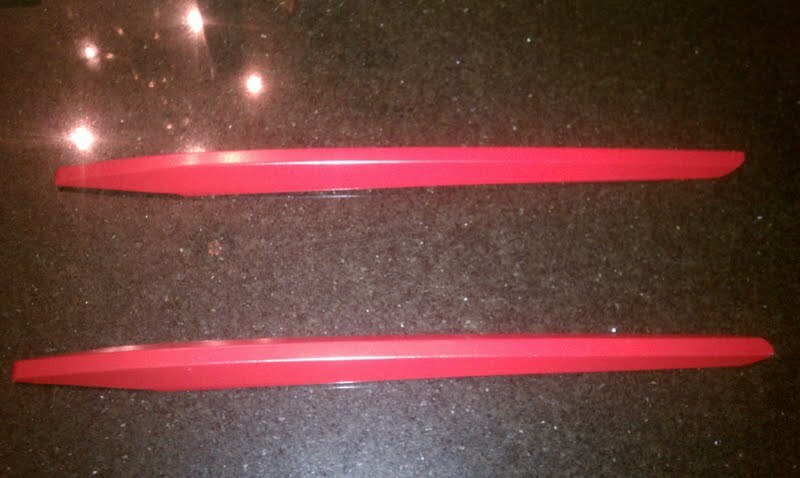 Also for free anyone who wants a pair of headlight splitters.They were black when i purchased them and i painted them red with krylon spray. also included tape that will be need cutting to fit splitters if you choosw tape installation. the pic show the splitters when balck on my car. PM me. Last edited by 2005GTDELUXE; 11/22/12 at 06:48 AM. Thanks a lot and have a great thanksgiving. Random question....are you being pulled over in the second to last pic?! No dood thankfully it is just a photo op pic. A 94 Volvo rearended a Maxima directly in front of me, I called 911 because I thought someone (in the maxima was hurt and stood with him till they arrived. 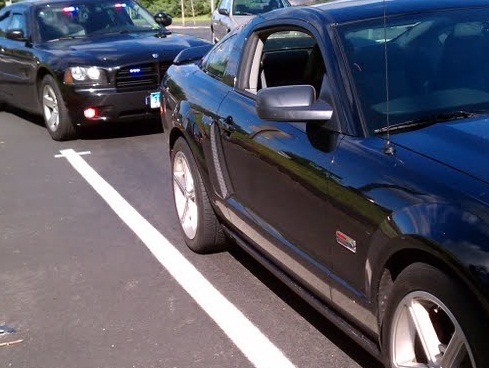 the officer parked in back of my car and I thought the Dodge (Charger I think) looked cool with the lights. 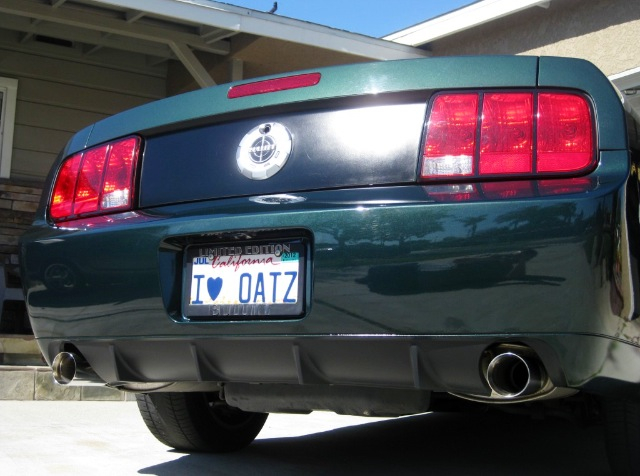 i still want a police bumper bars(not sure the name) for the fromt of my car. The splitters have been spoken for-at work now talk to u guys later. 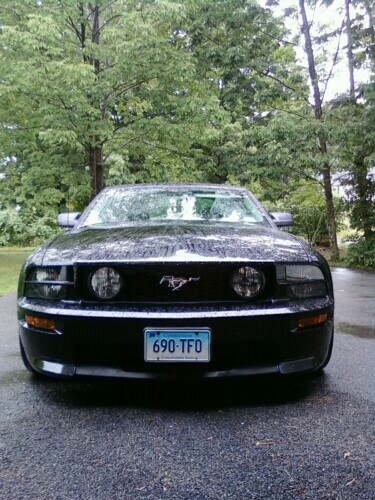 EDIT - Also for free anyone who wants a pair of headlight splitters. They were black when I purchased them and i painted them red with Krylon spray. 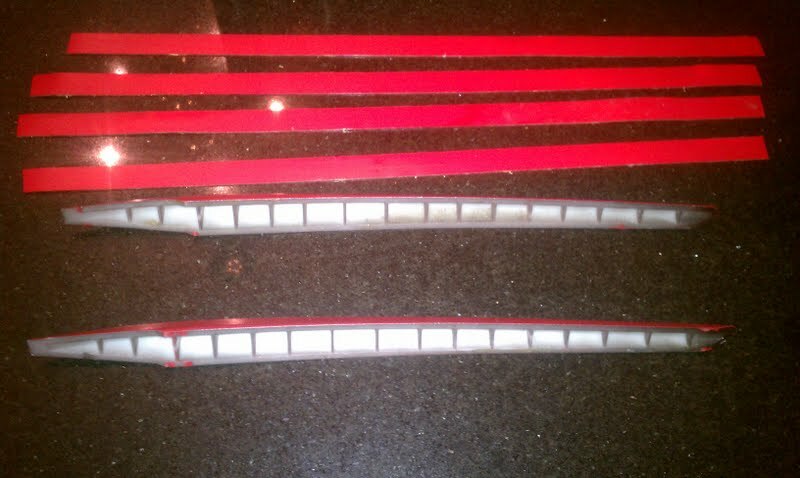 I also have tape that will need to be cut to fit for instalation.The pic is the splitters when on the car black PM me. Haha nice. Hope everyone was alright. Spoiler delete looks great. Did you have the holes welded and repainted or did you just plug the holes? Do you have any other black parts you wanna give away?? Haha like your bumpers?? clear tape and deciding yes most likely welded or bondo and repaint trunk and bumper. 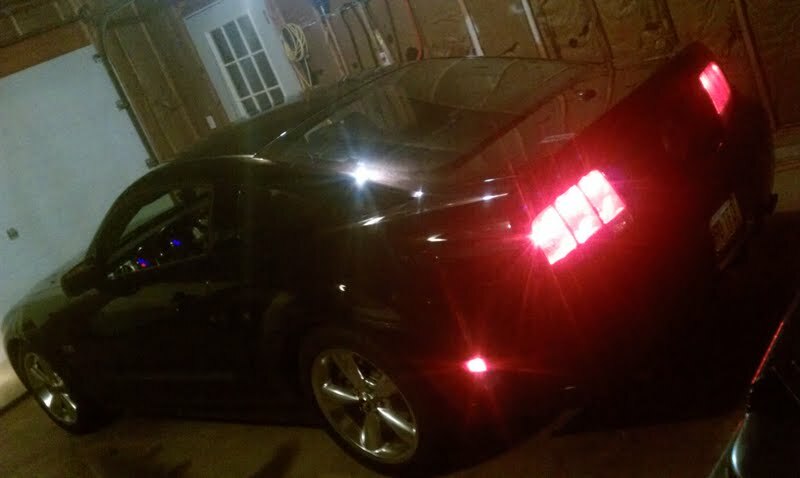 i'm haven't found a spoiler that looks better than 07 Shelbyand 08 Bullitt stripper style spoiler delete. Last edited by 2005GTDELUXE; 11/23/12 at 05:56 PM. Hey Mike, I saw your email- just a fyi for painting the splitters. i found a can of red Krylon spray in the garage and sprayed them red. 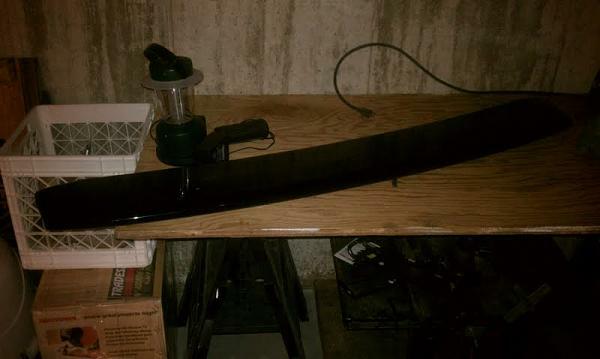 u might need to do some extra prep or primer or sanding before painting black. pcpctc520 claimed them also with the spioler testerday. That's cool. 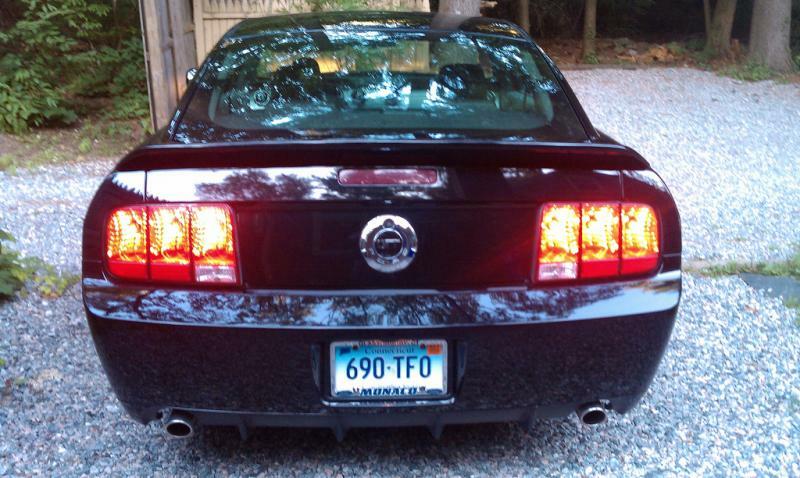 Did u put this splitters on ur black stang? Dood exactly! I love my spoiler delete RIGHT NOW also and its like a completely different car to me from the back. Its seem to look wider in back plus the UNOBSTRUCTED view out the rearview mirrow is another good thing. I tried them. In (the krylon red they looked horrible lol. Last edited by 2005GTDELUXE; 11/24/12 at 07:58 AM. ID WASTE ALOT OF $ IF I DECIDED TO GO BACK WITH A SPOILER. THE WORK I HAD DONE TO GET LOSE THE MOUNTING HOLES!! my favorite looks are 08 bullitt or a 07 shelby gt, mean and clean spoiler delete. an older guy at the grocery store parked next to me shared that he has 2 - 66 mustangs now and liked mine alot. (it was spoiler delete) also the work involved is definetly not worth ever going back. i have the satelite bump so def wanted to keep my trunk lid. 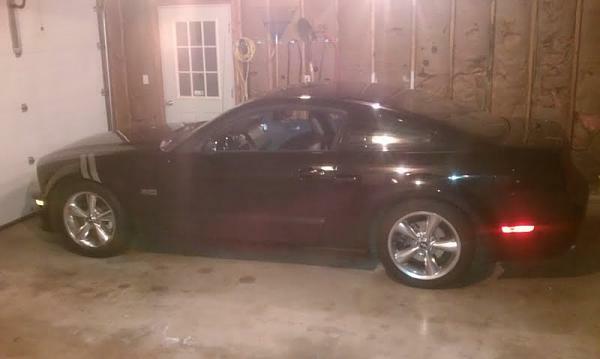 i've been trying for the 07 shelby gt look. I got a long way to go , hood scoop, stripes, fog delete. SOUNDS LIKE A GOOD DEAL YOU GOT GOING! 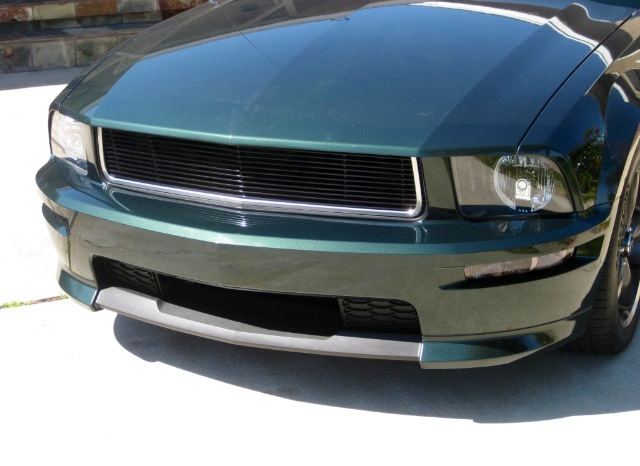 MY DREAM IS AN 08-09 BULLITT WITH GTCS FRONT & REAR BUMPERS! ITS BEEN DONE BUT I WANT IT FOR MYSELF!! !